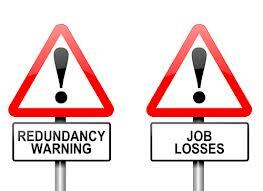 I’ve been made redundant like thousands of others so what’s so special about me? 5 years ago I was a vibrant, active, happy young woman. I’d just had my first baby, was planning my wedding and considered myself successful and highly employable! I’d just got promoted to “Treatment Manager” for the Probation service, a career that I loved. I felt I was following a rewarding and worthwhile path that I was good at. Now, I’m balancing on a tight rope between being the valuable member of society I was and giving in to the temptation of claiming sickness benefits, acquainting myself with day time TV and ultimately giving in to my condition. I’m being made redundant like thousands of others so what’s so special about me? I was diagnosed with Multiple Sclerosis 5years ago. I won’t bore readers with the science behind MS but I feel the need to share why my options are so limited and why I resent the implication that disabled people don’t work through choice. In fact, I still have a problem with the label “disabled” even though I hobble around with a stick and problems with my feet working properly make tripping over a constant probability! I prefer to think I have “a disability” as this implies a large part of me is able, which is certainly the case. I’ve been looking through jobs pages and am thoroughly discouraged and feel the pull of day time TV getting stronger. Going for interviews is a daunting prospect for someone like me and let me explain why. Firstly, getting up and showered isn’t always simple. Some mornings I can’t lift my legs in and out of the bath to have a shower. Other mornings bladder problems mean I desperately need the loo without any warning and not being near a loo can have disastrous results! Other mornings balance problems mean hobbling to my car with my stick can be exhausting. If I have managed to get showered, dressed, out the door and to the interview on time (without having any accidents on the way) unless I can park within staggering distance of the interview I would be in a lot of trouble! Then there are long walks inside the building and stairs to contend with, not to mention the exhaustion and fatigue this will all induce. I’m not asking for sympathy as this is all stuff I live with on a daily basis. I just need to share now bloody hard everything is! My current position has ended due to complicated funding problems in the criminal justice system but I can’t help thinking that my colleagues are secretly glad to be getting rid of the cripple. Allowances need to be made for me by law and they have had to help me do my job wherever they can and they have all been great. However, it’s hard to ignore the subtle messages I receive on a daily basis. People looking away when I hobble towards them, nervous laughter when I try and make a joke out of the humiliation I feel, clumsy comments from the boss about reducing my hours or taking a more admin based role. Just like I’m not ready to use a wheel chair yet I’m also not ready to give up on my earning potential and contribution to society. I have 9 GCSE’s, 3 A levels, an upper second class honours degree and 20 years’ experience. This is all why I’m launching myself into the world of freelance training. I recently had a coffee with a successful trainer in Brighton and he very kindly pointed out that I have loads of skills and experience and it would be a shame to lose it all. I can offer training in the Criminal Justice System as well as raising awareness of issues faced by people with disabilities. I can also do so much from home such as copy writing and consultancy and have already secured some paid work. I have written contracts for an estate agent and am currently acting as a training consultant for a local business man looking to develop a gym with training programmes taken from his experience as a Fire Fighter. I can still deliver excellent training and can deliver sitting down when necessary.Onwards and upwards then! I can do lots of this while still listening to Jeremy Kyle and This Morning in the background!